When Leane Darling and I were sure that we would be going to Peru, Leane came up with a schedule…the trifecta, if you will, of things we had to do while we were there. The first thing on that list was Pico Alto. Leane wanted to surf some big waves. The ocean cooperated and we were able to do that on the first couple of days of our trip. Up next was Chicama, one of the longest lefts in the world. I had been drooling over this wave ever since Leane brought it up, and that wave was all I could think about during the weeks leading up to the trip. As it turns out, there are waves that you dream about, and then there are waves that are even better. This wave was even better. How to Drink Coffee in Peru with Leane Darling from Morgan Hoesterey on Vimeo. After our coffee break, we spent the day surfing the best wave I had ever seen. I decided while I was out in the water that I would either surf until my legs gave out or until the sun went down, whichever happened first. Both of those things ended up happening at just about the same time, so as the sun went down, I came into the beach completely exhausted and with a giant smile on my face. Peru Dispatch #2: Chicama from Morgan Hoesterey on Vimeo. Wow, that video of Chicama is siiiick! Props to you for leaving the waves for a day and going to Machu Picchu, I don’t know I could have given up the surf. 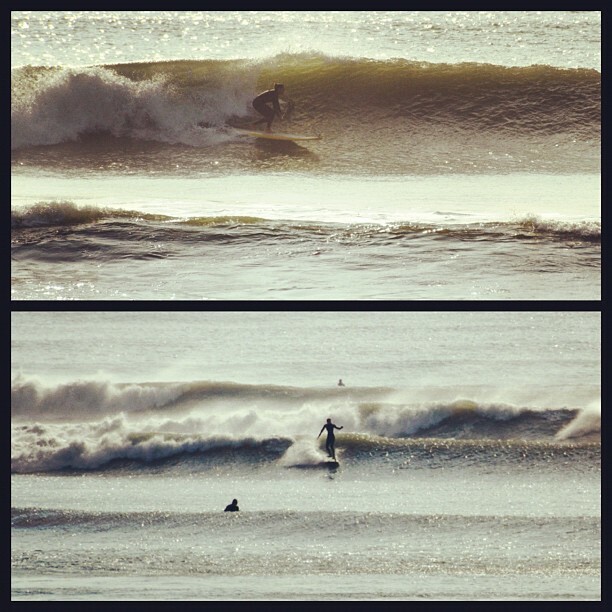 Besides the Chicama Surf Resort are there other spots to stay right by the break?